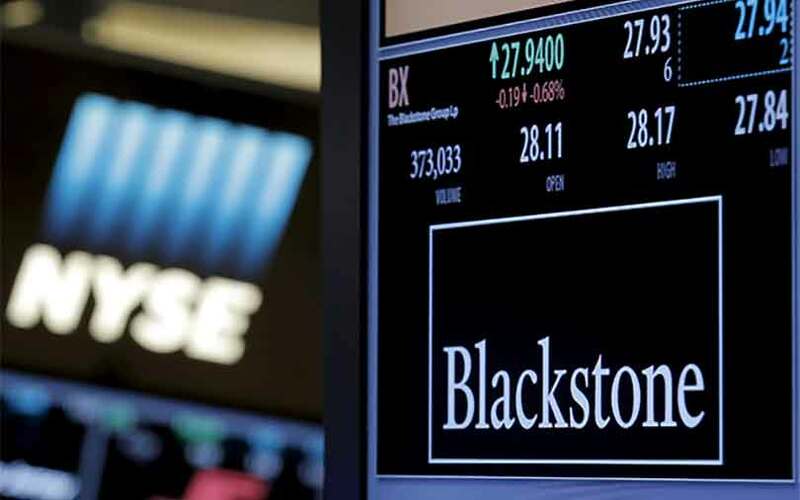 Blackstone Group LP is seeking to raise up to $3 billion in its first Pan-Asia buyout fund for investments in sectors including high-end manufacturing and healthcare, people familiar with the plan told Reuters. The New York-based firm has informed its limited partners about the plan and it aims to lock in the first tranche of investment for the fund by the end of 2017, according to the people. The size of the fund has not been finalised and could be bigger than $3 billion, one of the people said. The fund will focus on buying controlling or significant minority stakes in sectors such as healthcare, high-end manufacturing and services, and the so-called consumer upgrade sector - goods and services geared to consumers who want to upgrade their lifestyles, another person familiar with the plan said. "The fund will mainly look at China, India, Southeast Asia, Australia and Korea, and could be planning to invest in Japan as well," this person said, adding that Blackstone's global private equity fund will also contribute around 40 percent to the investments that the Asia fund makes. The world's biggest alternative asset manager, best known for its real estate investments, is the latest major private equity player tapping regional capital for buyout funds. Last month, KKR & Co closed a new Asia-focused buyout fund after raising $9.3 billion, a record for the region. Buyout firm TPG Capital Management was seeking to raise more than $4 billion for an Asia-focused fund, Reuters reported last September. The firm has yet to announce the completion of the fundraising. Eighty-three Asia-focused private equity funds have closed new fundraising so far this year, scooping up a combined $32.5 billion so far this year, nearly 80 percent of the $42.5 billion raised for all of 2016, according to data provider Preqin. Asia-focused funds have struggled for strong returns in recent years though. Preqin data shows funds that started investing in 2014 had an 8.1 percent median net internal rate of return (IRR), and funds from the previous year had achieved a 11.1 percent median net IRR. Returns above 20 percent are considered a reasonable return for private equity funds. Blackstone's previous investments in Asia were from its global funds. It most recently raised $17 billion for a global buyout fund in 2015. The firm's $4.8 billion BEP II fund, which started investing in 2015, recorded a 47 percent net IRR by the end of the first quarter of this year, its latest quarterly report shows. However, its biggest ever private equity fund - the $21 billion BCP V, which completed investments in 2011 - has also been one of the firm's worst performer with an 8 percent net IRR as of the end of March. Blackstone private equity funds have invested more than $1.5 billion in India since 2015. This included buying a majority stake in Indian IT outsourcing services provider Mphasis Ltd (MBFL.NS) from Hewlett Packard Enterprise Co last year for as much as $1.1 billion. Blackstone has also invested in companies in New Zealand and Australia in the past three years. It led a consortium to acquire Chinese information-technology outsourcing firm Pactera Technology International Ltd in 2014 and last year sold it to a unit of Chinese conglomerate HNA Group for about $675 million in cash. The sale handed Blackstone a return of more than one-and-a-half times its initial investment, the Wall Street Journal report at the time. Blackstone separately will launch a $5 billion Asia-focused real estate fund around the beginning of next year, Reuters reported in January.